ORGANISATIONAL excellence is the need of the hour, and I wonder what excellence in organisations is really all about. Perhaps it is about achieving the optimum blend of profitability, productivity, operating ratio, work culture, employee and customer satisfaction, ethical values, environment and corporate social responsibility. Or maybe much more. I am not an expert on this subject. Yet, if I am asked to lay a finger on the one single index that can be a pointer towards organisational excellence, it has to be the operating ratio of the organisation. My first visit overseas was an eye-opener. It brought me down to earth and that did me a lot of good in ensuing years. I would, therefore, like to relate two or perhaps three incidents that really made me appreciate that there are no rich and poor nations but only productive and unproductive ones. My second visit overseas to the land of the rising sun, Japan, and then to England opened my eyes. By then, I was almost convinced that the road to prosperity goes via deliverance. What is needed in our country is a quantum jump in deliverance—cutting across sectors and states. Since then, the Hindu rate of growth failed to impress me for that would keep the nation relatively at the same place. 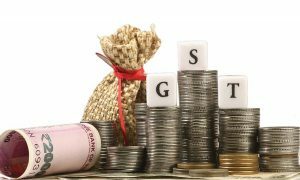 Why can’t we aspire for growth rates in excess of 25 per cent per annum, especially in the case of commercial organisations? Perhaps therein lies the difference between capabilities of managers and leaders. We need to cultivate leaders rather than merely focusing on imparting managerial skills. One definition of leadership is that it is the art of achieving many times more than what the science of management says is possible. This is one singular trait, the trailblazing results of which have been amply witnessed in the cases of Gandhi from India, Lee Kuan Yew of Singapore and Mahathir Mohammad of Malaysia, to name a few. Leadership is the issue. It is a lot about believing in yourself even when none believe in you. It is also about being more committed to speaking the truth than seeking the approval of others; besides, it encompasses all core managerial and human values. Firm adherence to ethics,value systems and genuineconcern for the employeesis what really differentiatesexcellent firms from theroutine. This is far moreimportant than merelychasing production orrevenues and is not yetapparent to many of thecorporate, especially thosefrom the sarkari sector! Now let us look at success. We all aspire to be successful, yet what is success all about? It is important not to measure personal success and sense of well-being through material possessions. Success is not about what you create for yourself, it is what you leave behind. Success is the ability to rise above discomfort, whatever may be the current state. You can, if you want, raise your consciousness above your immediate surroundings. Success is about vision. It is the ability to rise above the immediacy of pain. It is about imagination. It is about sensitivity to small people. It is about building inclusion. It is about connecting to a larger world existence. It is about personal tenacity. It is about giving back more to life than you take out of it. It is about creating extraordinary success with ordinary lives. If wealth gave happiness and satisfaction, then MukeshAmbani should be the happiest person in the country and if power and position gave that, then the Prime Minister should be; yet that is not the case. There is something else within us that is the true fountainhead of happiness and satisfaction. The sooner in life we understand this simple philosophy, the better it is. AT Patratu in Jharkhand, I started appreciating the real value of human resources. The combined strength of over a thousand men working in unison delivered much more than what even the best of my predecessors expected of the team. That the men in return expected neither enhanced wages nor promotions nor rewards, but genuineness on the part of management was a realisation that dawned on me at Patratu and continued during my next stint at the Diesel Locomotive Works at Varanasi. I also realised that unions are an essential part of any enterprise with a substantial workforce, yet they merely thrive on the incompetency or non-genuineness of primarily the apex management. Slowly, with the passage of time, it dawned on me that whether it is a parchunkidukaan, a big corporate or a nation, it is the top guy who really matters and everything else is merely a symptom. Yet how wrong most of us really are in always attempting to tackle the symptoms? Thankfully, our family doctors are not like us—they rightly attack the disease! Tackling the 3 Ms in a defined time-frame to achieve the desired objective is at the core of the philosophy of management. Yet, in the complex maze of organisations that we live in, we invariably fail to appreciate that the “will” to achieve is on a much higher plane than the hows and the whys. The regular engagement in the hows and whys of things, therefore, amazes me no end. There are examples galore of the tremendous success achieved by nations and organisations, inspired merely by the sheer willpower of the leader. The meteoric rise of Germany in the 1930s and then again after total demolition in the Second World War is a vivid example of willpower. I often wonder what would have happened if we Indians were left in the lurch in 1945 as the Germans were—we would still be begging the developed world, the World Bank and the IMF for dole. What we would have done with the dole is another matter. 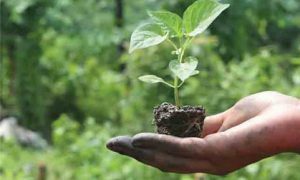 National catastrophes like cyclones, earthquakes and what Uttarakhand recently went through have started emerging as occasions for the rulers to make hay while the sun shines. Unfortunate, yet true! How deep is the abyss, I wonder? A few days back, one of my younger colleagues asked me how to differentiate between a good and a bad posting. My reply was that a posting conventionally regarded as good by the masses is bad and vice versa—provided, of course, that power and money are not the aim and making a difference is. After all, who said that the US has potential or Germany has potential? It is India that is still accumulating potential in almost every sphere of activities. Potential is indeed a dirty word and generally postings regarded as bad, possess tonnes of untapped potential. 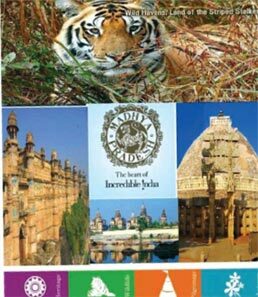 TACKLING the tourism major, the India Tourism Development Corporation, and that too during an era when the nation was going through the motions of selling the family silver, was an interesting assignment. It was no cakewalk. It was beleaguered on all sides, heavily loss-making and a corrupt organisation. With my not belonging to the elite service of the nation, the ad hoc appointment and the disinvestment ministry breathing down our throats, even paying salaries to staff was a challenge. And then came 9/11 as the icing on the cake! 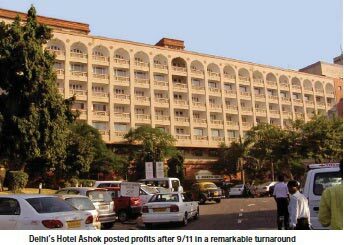 Yet Hotel Ashok, the flagship and the conscience-keeper of the corporation, posted the biggest hotel turnaround of those times—its turnover grew by almost 60 per cent in the year when the hotel industry worldwide plummeted. 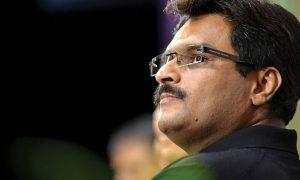 This turnaround gave jitters to the powers-that-be and was mainly fuelled by two components—the turnaround decision taken by the apex management and the absolute commitment of the staff in ensuring the success of the effort that followed. Firm adherence to ethics, value systems and genuine concern for employees are what really differentiate excellent firms from the routine. Clamping down on corrupt practices, imbibing value systems and providing genuine leadership to the men, therefore, has to be the fundamental focus area of the top guy. This is far more important than merely chasing production or revenues and is not yet apparent to many of the corporates, especially those from the sarkari sector! In the sarkari domain, most of us are often at a loss to decide from where to start, and therefore there are umpteen sad stories of confining ourselves to planning and PowerPoint presentations that paint a rosy future yet fail to impress. Grandiose futures emerging from dingy rooms occupied by demoralised employees are just not acceptable. Therefore, in all my postings, I literally begin with a clean-up drive. I cannot visualise a bubbly enterprise in the absence of smart offices, units and workplaces. The men have to start feeling the change and that is what started happening at the dingy headquarters of Madhya Pradesh Tourism in 2004 and continued to happen for the next five years. The organisation turned around in the very first year and the turnover rose so fast that the profits at the end of five years were almost double the turnover at the beginning. Meanwhile, rapid strides in infrastructural development, innovative and bold promotional campaigns and making things easy for private sector entry propelled the State to the forefront of tourism in the country—an achievement celebrated by a number of recognitions in the form of national awards. While managerial excellence played a major role, the almost vertical growth was made possible by inculcating ethical values, rooting out corruption and genuine concern for the men of the corporation. WHAT, however, took me by surprise was the tremendous positive response of the railway staff in the Delhi division of Indian Railways. 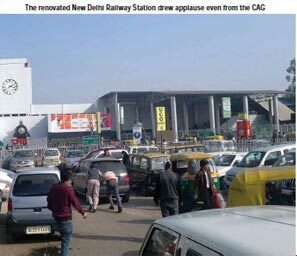 Infrastructural development works that normally take decades were completed in record time and at such low costs that even the CAG profusely complimented the renovation work at New Delhi Station in its audit report of the CWG Games. Here again, a transparent environment, genuine concern for the men, quick decision-making and regular emphasis on value systems played a major role. All great performances appear smooth, be it GeetSethi playing billiards or Sachin Tendulkar scoring centuries, and all bad performances give an impression of tremendous activity. The test is that if an organisation and its constituents appear to be at peace with themselves, it is almost always certain that it is on the road to achieving excellence. Leaders clearly differentiate between remaining busy and delivering. They also quickly separate the grain from the chaff. For them, achieving organisational excellence is simple, though it often appears impossible. It only requires the will, commitment, genuineness and integrity on the part of the management. Once the decision to achieve excellence is taken, the next stepis to put life and soul into achieving the objective.